"One day, we would really like to get into the healthcare market." It's a comment I'm beginning to hear a lot more from startups I've spoken to recently. So when rumours of Apple building a medical grade wearable started to fly about, I wasn't at all surprised by the speculation. Why? Because healthcare is a lucrative business. You just need to look at the numbers that research firms and analysts have been dishing out. A report from Market Data Forecast suggests the medical devices market value will reach $11.2 billion by 2020. 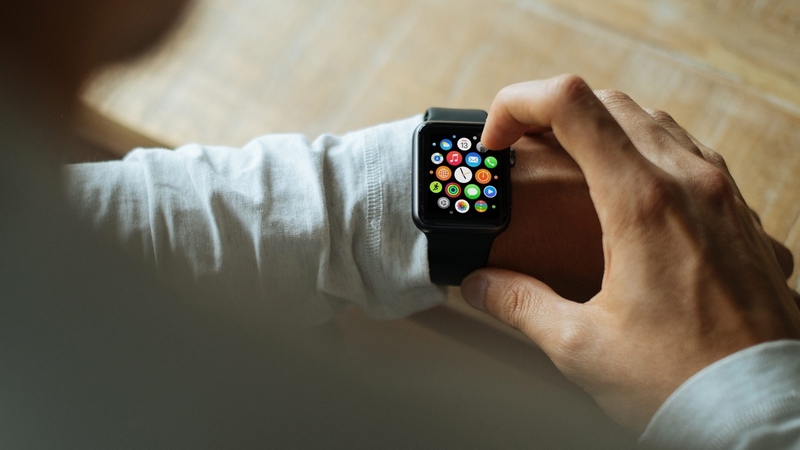 Another report from Grand View Research Inc believes the connected health market and wellness market will reach $612 billion by 2024. You don't need me to tell you that these are huge numbers. "We don't want to put the watch through the Food and Drug Administration process," Cook told The Telegraph. "I wouldn't mind putting something adjacent to the watch through it, but not the watch, because it would hold us back from innovating too much, the cycles are too long." What it tells us is that medical grade wearable devices have a huge role to play in the future of wearables. Potentially they could reduce the cost of treatments, cut down hospital stays and make it easier for patients to continuously monitor their health without heavily relying on medical staff. If the speculation proves accurate, Apple is certainly not alone in casting an eye on the healthcare industry. Fitbit has closely aligned itself with researchers carrying out clinical trials, Jawbone's uncertain future could lie with a medical grade device and Philips has recently launched a health suite of connected devices that are more concerned with preventing lifestyle-induced chronic conditions than counting steps. While there's no suggestion that Apple will abandon its more consumer-friendly smartwatch, it's clearly been laying the foundations for a device that can do so much more. First came Apple Health and HealthKit, a way for wearable owners to store health and fitness data along with a framework for developers to help make better sense of the data. Then came ResearchKit and more recently CareKit in a bid to radically change the way doctors can keep track of patients. Apple has just teamed up with GlaxoSmithKline to create its first ever drug company partnership to make use of ResearchKit for clinical trials. Even after the launch of the original Apple Watch, reports suggested that the Cupertino company's ambitions for health and fitness tracking were big. In May this year, Tim Cook spoke about comparing tracking the body to keeping tabs on a performance car. He even talked about the holy grail of the watch being able to monitor more and more. You can go back to life before the Watch when Apple were reportedly having meetings with the FDA (Food and Drug Administration). Getting that seal of FDA approval would greatly enhance the credentials of any medical grade device. We've already seen glimpses of what could be possible through Apple's first wearable. The Apple Watch can hook up to a sensor to monitor glucose levels for diabetes sufferers, and a teardown of the Watch revealed a pulse oximeter to measure blood oxygen levels hidden underneath that rectangular exterior. There were also apparently plans to include sensors that could gauge stress and blood pressure, but they didn't work consistently enough. The latest watchOS 3 update will effectively turn the smartwatch into a smart medical bracelet. The patent that's currently causing a stir is one that hints at a wearable that will include electrocardiogram (EKG) technology, to offer medical grade heart rate monitoring. This is still considered the most accurate way to record heart rate activity and there are very few wearables that currently offer it. What a medical grade device could do for Apple is deliver what it wanted to deliver with the Apple Watch but for whatever technical reasons, couldn't. Do I think Apple will make a health wearable? I think there's evidence to imply it's on the cards, but I also think it's bold to suggest that this is something that is going to happen in the very near future. This is not a tablet or a phone we're talking here. This is dealing with data on a whole different level and Apple needs to get it right – more so than with any other device it's ever launched. When or if it happens, it could be a watershed moment. When Tim Cook unveiled the Apple Watch to the world, he called it the next chapter in the Apple story. A medical grade wearable could be the chapter that everyone expects – but that proves to be the single most important one the company has written.